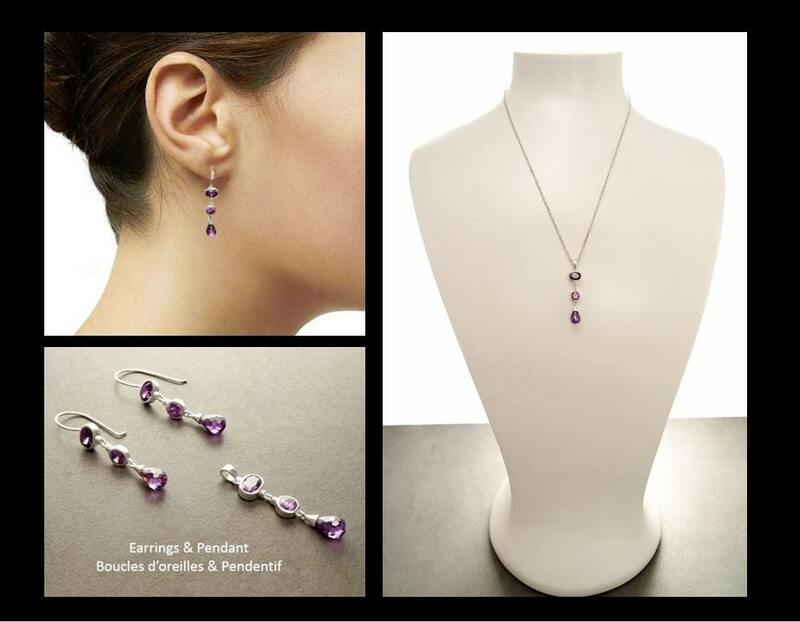 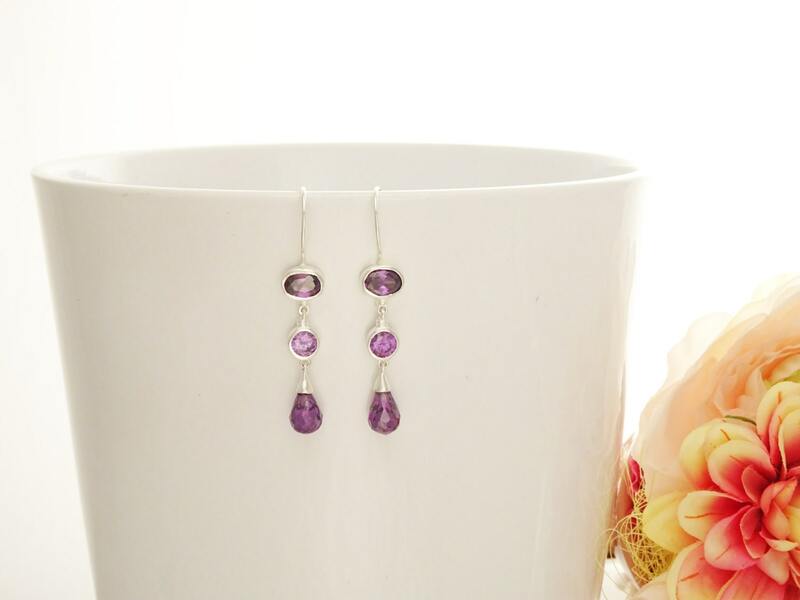 Modern and Chic in Design, this Sterling Silver Fixed Pendant is set with Amethyst color Cubic Zirconias. 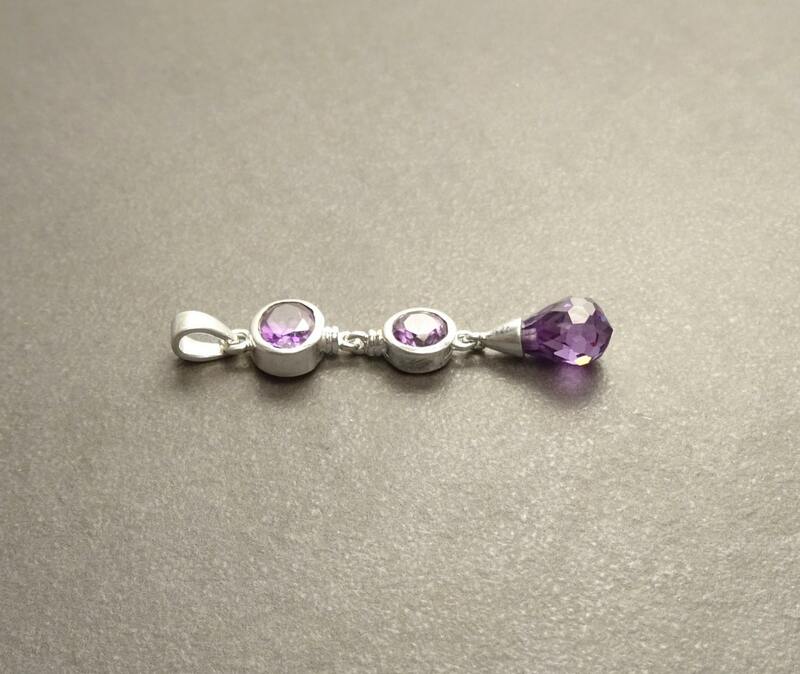 Pendant length is : 3.0 cm. 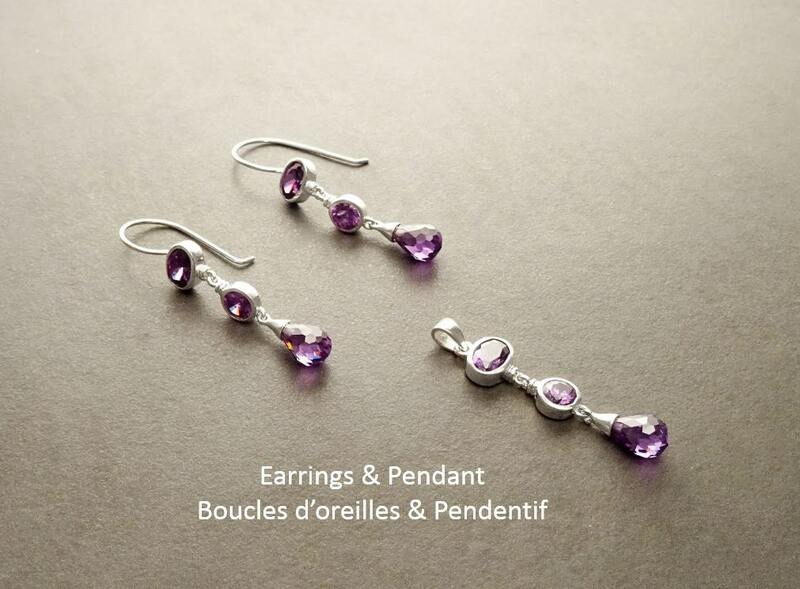 * Pendant can also be done with High Grade Cubic Zirconias. 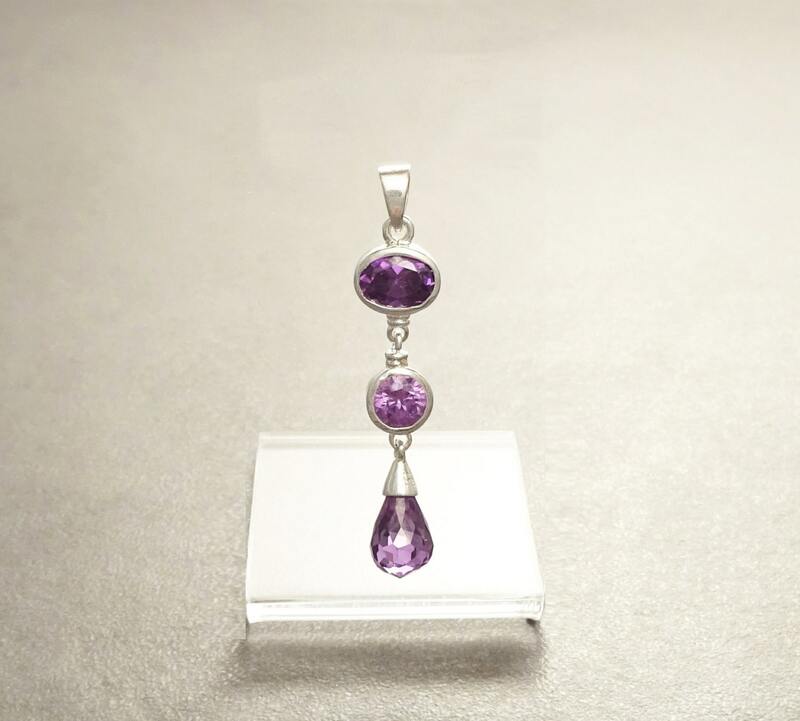 Beautiful pendant, great price, packaged nicely, I love it.